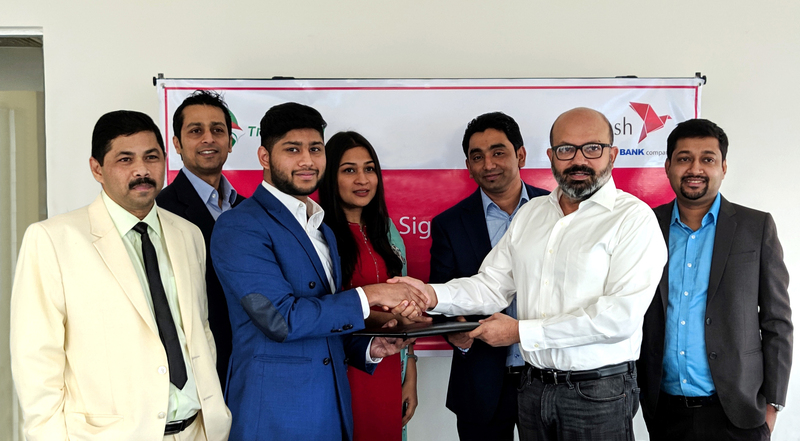 bKash Limited, the largest mobile financial service provider in the country and TruckLoad, a pioneer web and mobile application based online truck booking platform that connects users to hire a truck all over Bangladesh signed an agreement recently allowing users to pay through bKash while hiring trucks. Kamal Quadir, Chief Executive Officer of bKash and Tysir Hossain Managing Director of TruckLoad exchanged the signed agreement at the bKash head office recently. Mohammad Mahbub Sobhan, Head of M-Commerce, Syed Naim Ahmed, Account Manager of bKash and Nafees Khundker, Chairman, Sohana Rouf Chowdhury, Director, Mohammd Zabid Hossain, Director of TruckLoad were present during the signing ceremony. This simple and hassle-free bKash payment process will make customers’ lives comfortable as they will not have to solely depend on physical cash for making payment for as fare on TruckLoad. Launched in 2018, TruckLoad, an initiative of Rangs Group, look forward to harness the power of technology and provide one stop solution in the transportation industry and bring logistics at fingertips.